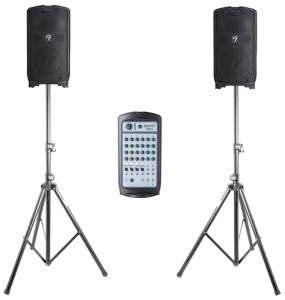 We offer Humboldt county’s best rates on LCD projector rentals and PA sound systems. Our client satisfaction rate is second to none not only because of our competitive rates, but because of the friendly, local and helpful service we provide with each rental. In addition, we offer free helpful instruction for all of our rental equipment so you can be confident when operating the systems at your special event. We offer complete onsite services including set up and takedown of the rental equipment at your event.